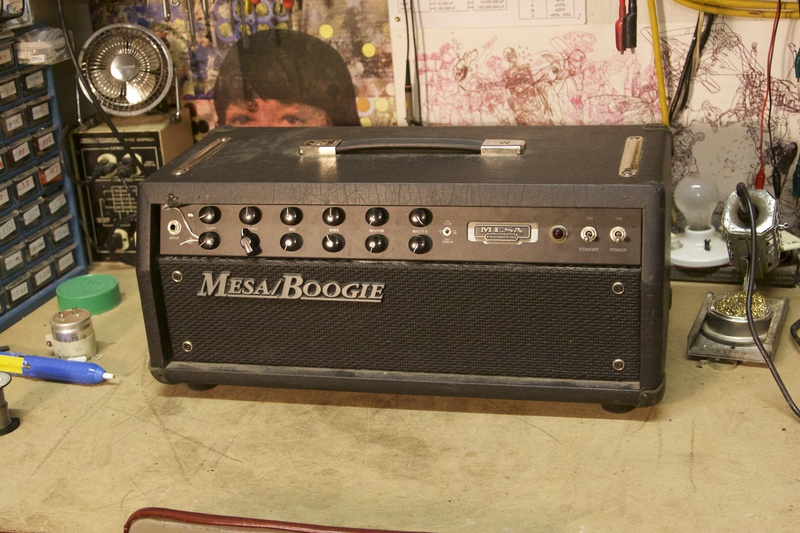 Mesa Boogie F-50. Seems like this is a lesser known Mesa amp. Has two 6L6GCs in the output section for 50W. Also comes in a four 6L6GCs F-100 version for 100W and a F-30 with two EL84s doing 30W. I like how it’s pretty stripped down and doesn’t have a billion knobs and buttons and switches like a lot of other Mesas. Has a clean sound which people seem to claim is one of Mesa’s best ever, and a gain channel with boost, so really only two channels. With the boost it gets pretty gainy but doesn’t quite reach into the gain territory of the rectifier series. Had a string attached to the volume knob for what I would assume was a price tag. I should have removed it before taking the pic oh well. Pretty neat and tidy like they usually are. Always nice when the pots are not PCB mounted. This amp worked great other than an intermittent connection at the AC cord inlet, causing it to cut out or sometimes not even turn on. 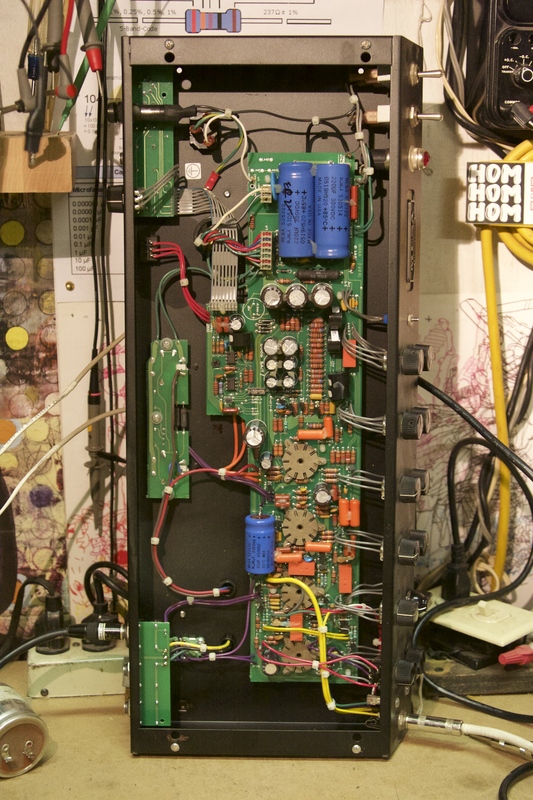 Check out the full schematic for Mesa Boogie F-50/F-100 available as PDF and get into it.